This is one of my favorite threads. 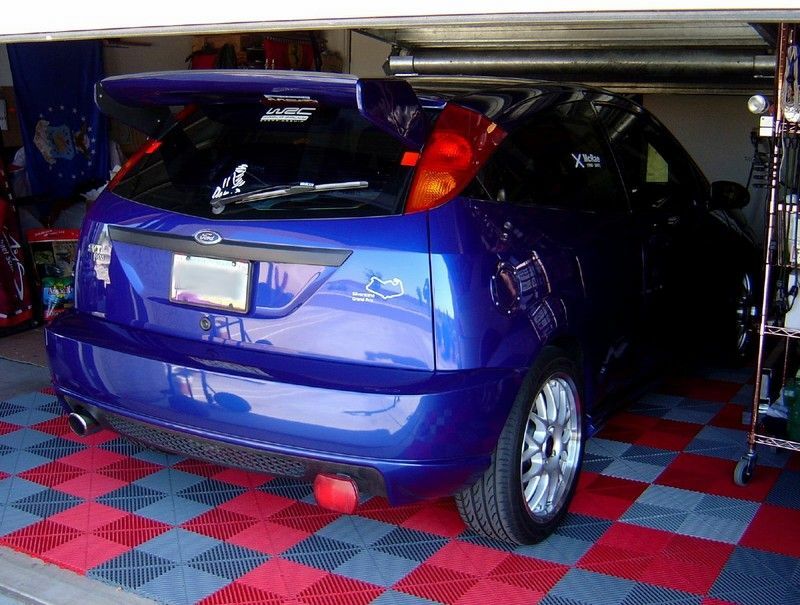 So, I will use this photo of my new car as an opportunity to encourage others to post up pics of their garages. Sold the older red one to buy a newer yellow one? Sold the red one. Sat on the cash waiting for passion to stir me to buy the next fun car. Test drove almost everything. Nothing felt as raw and exciting as the Elise. The market for buying sports cars ripened. I bought the funnest car! ^^^That is a great car and a great place to keep and work on it. 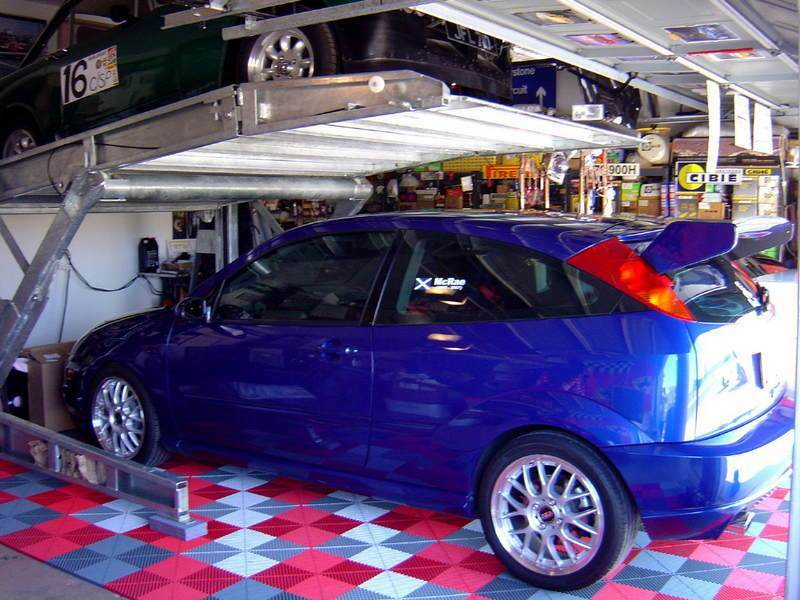 I got my garage all ready and then had to put the plans on hold. The file side cabinets will be moved when the Lotus moves in to make room - someday. Mine is still in progress but the painting is done! 2005 Saffron Elise. Flat black Team Dynamics, Blackwatch harness bar, Stage II exhaust. 2001 Triumph Legend TT. She's a Cafe racer. 1969 Ford F100 named "Ethel"
Nothing like some of what I've seen here but I'm pretty proud of mine. It's not much but I think I've made something of a pretty humble standard residential garage. Sorry no Esprit in view yet, hopefully this spring. ^^^ That is sooo cool! Nice lift - I've never seen that before (but I am new to all this stuff). 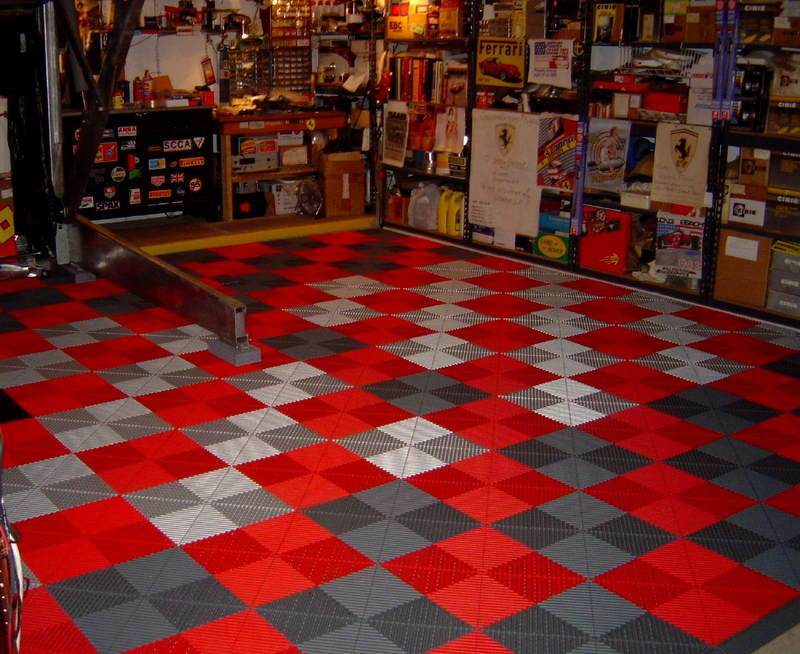 Awesome race deck flooring as well. Just great is all I can say. where do you guys get these wonderful lotus signs, and banners? What brand of lifts are those the look really cool. I'm thinking about installing a lift and would be interested in checking these out. Is the underneath of that lift's floor solid? If so, it would seem like that would make some things underneath the car hard to work on. Yeah...I still have work to do and no time to do it. It weighs less then a ton, but you get 190hp. That's like putting a Saturn 5 rocket in a blender. 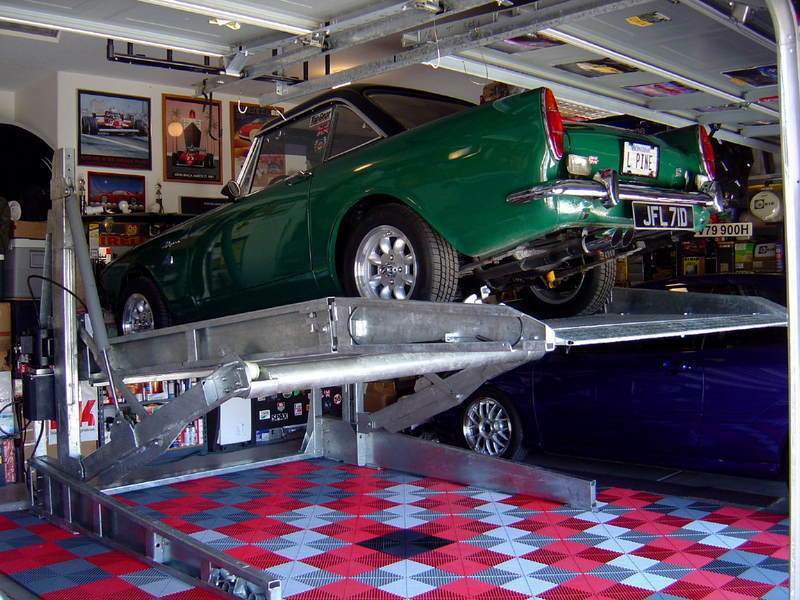 The lift with the green Alpine on it is a Harding steel lift. 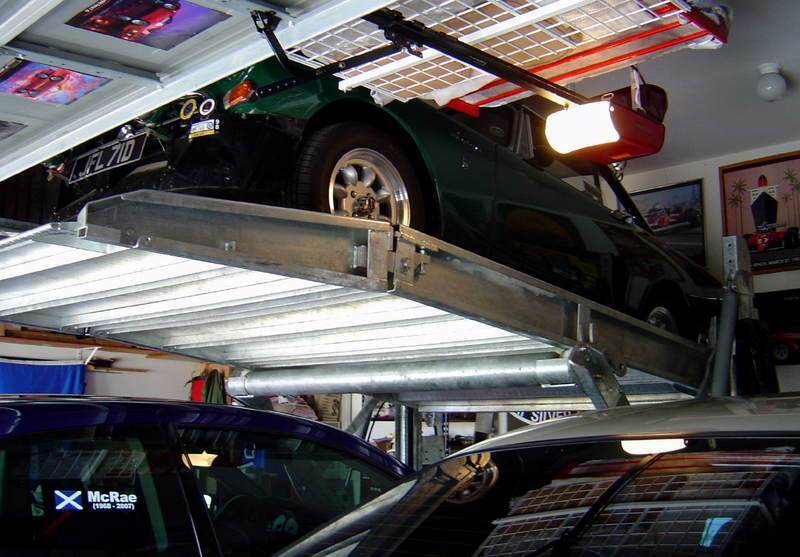 This particular one is a storage lift, not for maintenance. They make others but I haven't really dug into their site since I'm pretty well set with the one I have. They do one that goes underground too. How cool is that? I heard a rumor that the underground one is around $40K......don't quote me. Isn't that where baby Jesus was born? I'd be afraid something might fall on my car. Oh man, Tracy, that's just rude. Last edited by Moto44; 01-11-2009 at 01:50 PM. Hey I thought we weren't going to do any more of those barn find threads? !